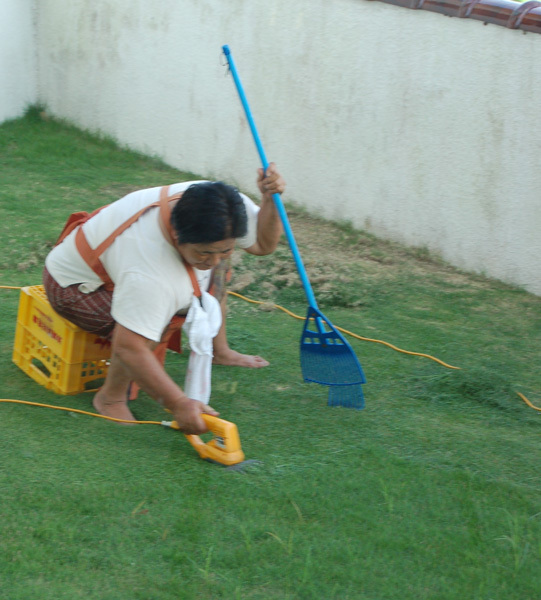 Apparantly, if you have a small enough lawn, you don't need a lawn-mower in Okinawa. As can be seen here, they just use small hand clippers to trim the grass. Seems like a lot of hard work, especially in the hot sun.